Chocolate Cookie Crust, Chocolate Silk Mousse and Dark Chocolate Silk....YUM!!! 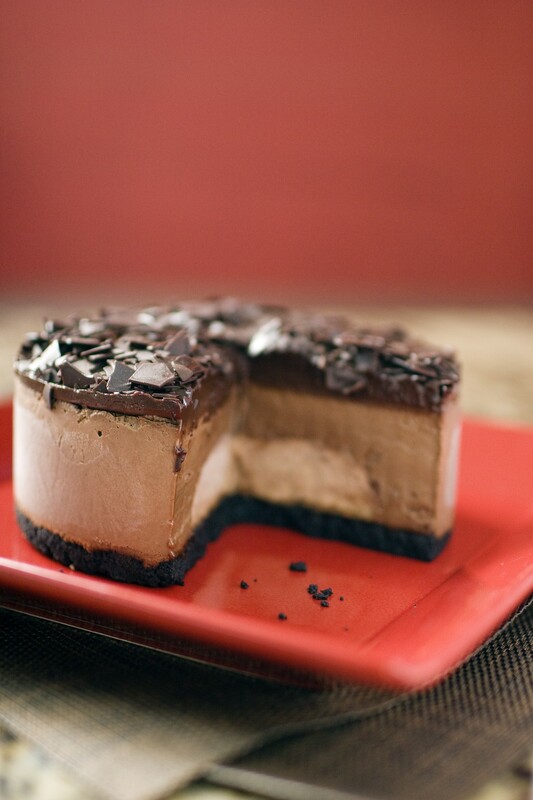 A Chocolate cookie crust has a center of our dark chocolate silk mousse with a base of our chocolate ganache. It is surrounded by our original dark chocolate silk then topped with our house made ganache.